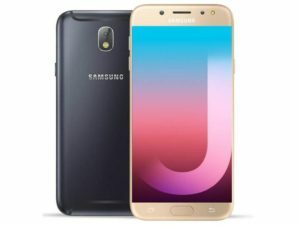 Home/Mobile Phones/Samsung Mobiles/Coolest new features of Samsung J7 Pro – Why is it the best phone under Rs. 20,000? In India, Samsung unveiled in New Delhi the new Galaxy J7 Pro and J7 Max. This is the brand new Samsung flagship phones which have the feature Samsung Pay and Samsung Pay Mini built in respectively. The J series till date didn’t have the Samsung payment option and hence this is the latest feather added to the cap of J series. However, besides the payment solution from Samsung, the J7 Max and the J7 Pro also offers the best optimum design, specifications, features which are much in tandem with the other flagship phones in the best possible ways. The J series from Samsung has been received with open arms in India and they’ve been catering to a wide range in price. The J1, J2, J2 Pro, J5, J7, J7 Prime are all considered as the best J series phones which have been introduced by Samsung. Here in this post, we’ll take a quick look at the coolest features of J7 Pro. Are you tired of your kids using your mobile and using the apps which they shouldn’t be using? Well, the J7 Pro has an in-built method of hiding and locking your pictures and apps from all prying eyes and unwanted users. This is the ‘lock and mask apps’ feature which doesn’t only allows you to lock few apps but it also hides them entirely from the app drawer and also from the results of search. To enable it, you have to search for it under Settings and then enable it again. Although the J7 Pro from Samsung Galaxy isn’t wide like the J7 Max but there are times when it is a bit difficult to use it with a single hand. This is where the feature One-Handed mode comes in. It pulls the navigation buttons within the screen and makes it so easy that you don’t require moving your thumb here and there to reach the Back button. You can just press the Home button thrice to bring that one-handed feature mode. In case you’re someone who has been following the tech industry off late, you must have been familiar with the PIP or Picture-in-Picture mode of Android Oreo. This J7 Pro has got a scaled down part of this amazing feature and this has been added to all Galaxy phones. It is called the Multi-Window feature which turns any specific screen to a floating window and gives you the option to move it around. You just have to enable “Advanced Settings” to get it done. People who have been using the J7 Pro for more than a month can indeed say that they can survive for 24 hours without having to charge. But in case you find that your phone is down on battery and you neither have a charge nor a power bank, switching on the power-saving mode will definitely come in handy. The Mid and Max are the 2 different modes for saving power and you can personalize both the modes. For more aggressive power saving, click on Advanced Settings. Therefore, if you’re someone who has been constantly using the J series phones from Samsung, make sure you switch to this flagship phone, J7 Pro in order to reap the benefits of these above mentioned cool features. Make sure you read the reviews and also the online manual before using it so that you can make the utmost use of all the features.